Sales, discounts and savings are some keywords regularly used by businesses to drive value for their business. Today, they understand that it is important to look and feel more real rather than forcing goodness. This is why nowadays businesses are spending on customized magnets for making great announcements such as win free recharge on making your friend purchase from us. As said before discount coupon or sales coupon was already popular, then how can we say that they make a brand advocacy token? 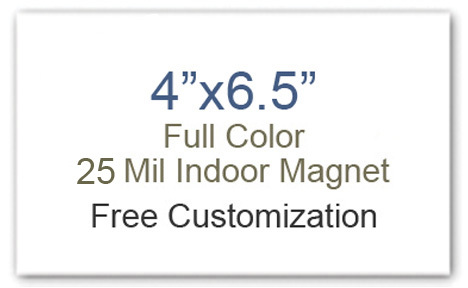 Customized discount coupon 4x 6.5 magnets, which offer long term benefit to the consumer would be appreciated. You can customize them with messages such as – Enjoy a foreign vacation on encouraging purchases above $5000. This type of influential messages would easily drive value for your brand and attract qualified customers. How awareness magnets may aid in brand advocacy? Awareness magnets may aid in brand advocacy by building stronger social impact. You can distribute full color 4x 6.5 magnets to your clients or employees and ask them to retain them over refrigerator doors or car doors. If used for outdoor advertising, this magnet may not show up from longer distances, but they would really make a difference, when seen at the closer quarters. People would easily start believing in a brand, which took efforts to give back to the society in a positive way. A promotional magnet giving away your company credentials and other information is perfect to build an impact on your employees. If you believe that brand building should begin at home, start by gifting impressive employee welcome kits with notepads, pens and attractive promotional magnets highlighting company information. Employees would be encouraged to discuss high quality promotional magnets and their brand with a tinge of pride. They would make it a matter of pride to retain such encouraging tokens over their refrigerator door. Calendar magnets have been around for a while and knowingly or unknowingly marketers have been employing them for brand advocacy. They can distribute full color customized calendar magnets during employee events, corporate events, tradeshows, etc. People would happily accept high quality promotional calendar magnets offered to them because it helps them to track dates and plan their day over a cup of coffee. Full color 4x 6.5 magnets would continue to influence clients and their family even after the year ends. Promoting sport is the good way of brand advocacy and marketers can easily attempt it with smart choices. Gifting a customized sports schedule magnet prior to the start of the sports season is the best way to popularize the brand. This strategy may not bring any real conversion in short period, but it will definitely help to bring long-term conversions. Marketers can experiment and devise other ways of brand advocacy through 4x 6.5 magnets because it can easily feature over minds with its large size.